Alcohol Free NyQuil temporarily relieves common cold and flu symptoms including cough due to minor throat and bronchial irritation, sore throat, headache, minor aches and pains, fever, runny nose and sneezing so you can sleep. 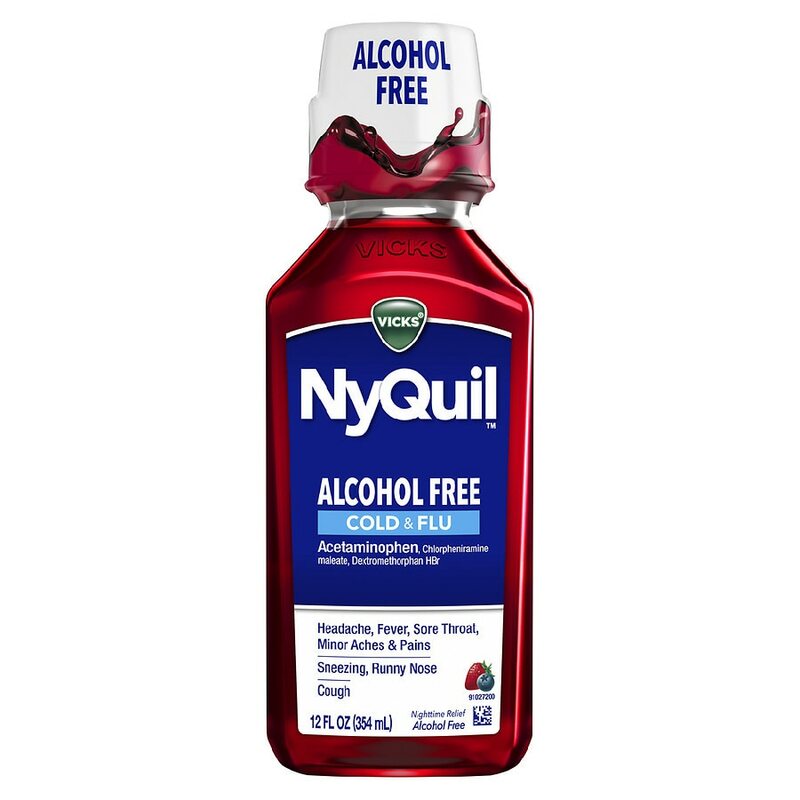 Alcohol Free NyQuil Cold & Flu Relief Liquid is available in Soothing Berry Flavor. Alcohol Free. When using DayQuil or NyQuil products, carefully read each label to insure correct dosing. Use as directed. Keep out of reach of children.